Previous clients of ours sold their home and purchased another in Morningside. They came back to us to create an outdoor kitchen and fire pit area as well as this gorgeous indoor wine cellar in their new home. 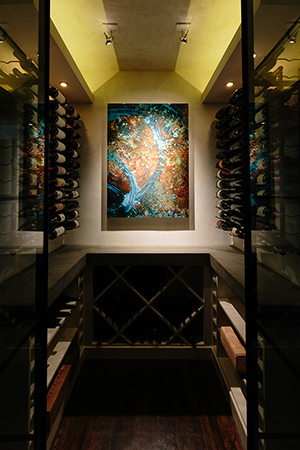 My Home Improvement Magazine published an online article featuring our wine cellar design. If you would like see more photos of the project, click here.